What happened to the lost colony of the Americas? Itil, lost capital of Khazars, found? The Lost City of Z, a fabled metropolis of unimagined riches deep in the Amazon rain forest, has eluded explorers for centuries. But recently documented traces of a well-planned constellation of walled settlements arranged around central plazas and linked together with arrow-straight roads in the Upper Xingu region of the Brazilian Amazon may be the civilization that gave birth to the legend, scientists say. 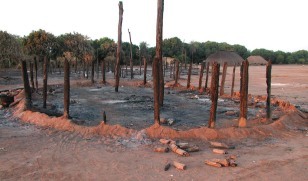 This image shows the charred remains of a house in the region that was uncovered as part of an archaeological project led by the University of Florida's Michael Heckenberger. Click the "Next" label for six more tales of cities lost or found. According to the Greek philosopher Plato, Atlantis was a powerful society that disappeared under the sea in a torrent of earthquakes after it failed to take the city of Athens. Some scholars consider Plato's account as purely fictional; others have scoured the world for evidence of its existence. One disputed theory holds that Atlantis was on a portion of the Mediterranean island Cyprus that was submerged during an earthquake thousands of years ago. The mythical allure of the lost city has spawned a luxury hotel chain. 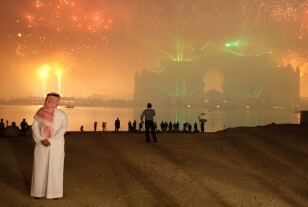 In this image, fireworks explode over the opening of the Atlantis resort in Dubai. Sometime in the late 1580s, 117 English colonists disappeared while attempting to become the first to settle the New World. Their settlement on what would become Roanoke Island, N.C., was found abandoned in 1590. To this day, scientists, scholars and the plain curious can't agree on what happened. Some people believe the colonists assimilated with neighboring Native Americans; others think they were either killed by their neighbors or sunk at sea while trying to flee. 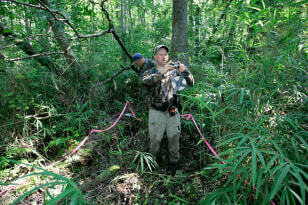 In the image shown here, Frank Ray, a member of the Lost Colony Center for Science and Research looks for clues that could help solve the mystery. From about 2,800 BC to AD 300, the city of Ubar in the Arabian Desert served as an outpost for the lucrative trade in frankincense, a sweet-smelling gum resin. Then, according to myth, the city sank in the sand, lost forever. And so it was until archaeologists armed with everything from ancient texts to remote-sensing technology on the space shuttle went looking for the lost city. 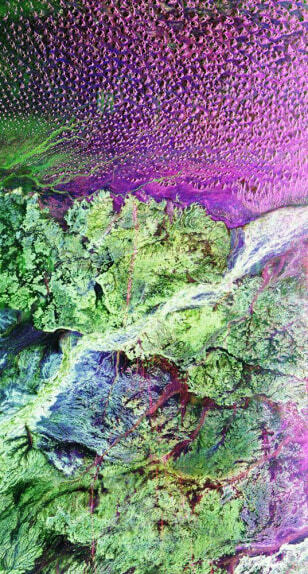 The diffuse reddish streaks in this radar image from the space shuttle show ancient paths leading to and around the ancient site, which had literally sunk into an underground water hole. Ubar's discovery is an example of scientific sleuthing verifying ancient lore. In 1911, U.S. explorer Hiram Bingham scrambled up a steep mountain side in southern Peru and encountered an ancient city of sorts beneath the undergrowth. 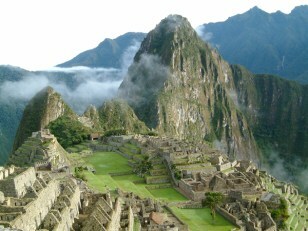 The site, Machu Picchu, is popularly known as the Lost City of the Incas. What exactly the city was, however, remains a mystery. Scholars have variously theorized it was the birthplace of the Incas, a private estate, and a spiritual destination. Prior to Bingham's encounter, the city was lost to the jungle for about 500 years. 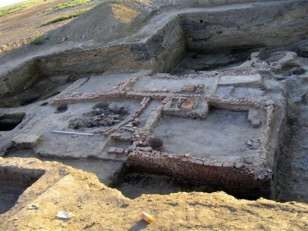 The excavated buildings shown here south of Moscow, Russia, may be remains of Itil, the capital city of the Khazars, a Russian scientist has reported. The Khazars ruled the steppes from Northern China to the Black Sea between the seventh and 10th centuries. Once conquered by the Russians, Itil disappeared without a trace. Some scholars believe it was swamped by the nearby rising Caspian Sea in the 14th century. Scientist Dmitry Vasiley at Astrakhan State University believes these flamed brick buildings are part of what was once Itil. Homer's epic poem the "Illiad" famously describes a war in the city of Troy, replete with tales about the heroic Greek warrior Achilles and a wooden horse. Questions about whether the city really existed appeared resolved in the 1800s when journalists, archaeologists and others zeroed in on a site and excavated the ancient city. The so-called archaeological Troy consists of nine cities built on top of one another and denoted with Roman numerals. Scholars believe Troy VI and Troy VII correspond with the city described in the Iliad. 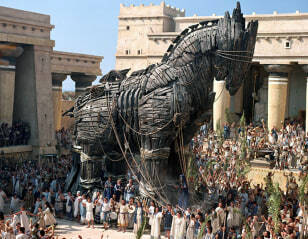 This image from the movie "Troy," which was based on the Iliad, shows the famous Trojan horse.